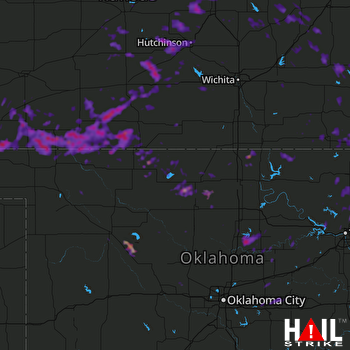 Doppler radar detected Half Dollar size hail near Augusta, KS, Valley Center, KS and Lindsborg, KS on July 15, 2018. This hail storm was traveling SSE at 4 mph and the entire storm produced hail for roughly 3 hour(s). Radar reported a max hail size of 2.75″ and an average hail size of 1.39″. We estimate that 88,973 buildings were in the affected area and the probability of hail DHI detected was significant. Based on this information, you can expect potential damage to fruit, crops and vegetation, but not much else (Intensity Rating 1). 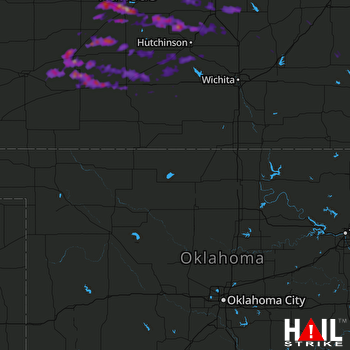 Doppler radar detected Quarter size hail near Mcpherson, KS, Lindsborg, KS and Inman, KS on September 16, 2017. This hail storm was traveling E at 14 mph and the entire storm produced hail for roughly 3 hour(s). There were 1 spotter report(s) with reported max hail size of 1″ and an average hail size of 1″. We estimate that 22,693 buildings were in the affected area and the probability of hail DHI detected was significant. Based on this information, you can expect to see minor damage to vehicles, tile roofs and crops in isolated areas (Impact Rating 2). 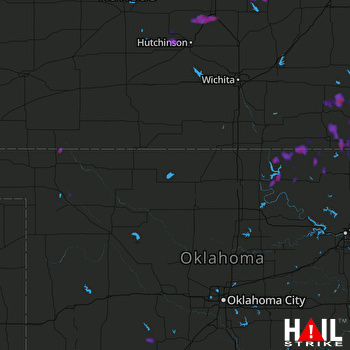 Doppler radar detected Egg size hail near Collinsville, OK, Coffeyville, KS and Lindsborg, KS on June 30, 2017. This hail storm was traveling ESE at 31 mph and the entire storm produced hail for roughly 8 hour(s). There were 4 spotter report(s) with reported max hail size of 2.75″ and an average hail size of 2.38″. We estimate that 78,732 buildings were in the affected area and the probability of hail DHI detected was significant. Based on this information, you can expect to find widespread roof damage, broken glass and automobile bodywork damage in well populated areas. 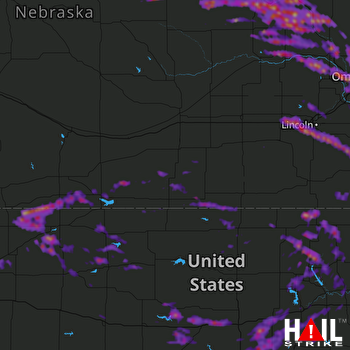 Doppler radar detected Ping Pong Ball size hail near Bellevue, NE, Papillion, NE and Norfolk, NE on June 30, 2017. This hail storm was traveling ESE at 28 mph and the entire storm produced hail for roughly 11 hour(s). There were 42 spotter report(s) with reported max hail size of 2″ and an average hail size of 1.58″. We estimate that 107,070 buildings were in the affected area and the probability of hail DHI detected was significant. Based on this information, you can expect widespread, severe damage to tiled roofs, automobiles, and aircraft over highly populated areas. Risk of personal injury is also high, and is often accompanied by other severe weather events (wind, tornadoes). Doppler radar detected Quarter size hail near Great Bend, KS, Pratt, KS and Lindsborg, KS on April 20, 2017. This hail storm was traveling E at 27 mph and the entire storm produced hail for roughly 3 hour(s). There were 6 spotter report(s) with reported max hail size of 1.25″ and an average hail size of 1.13″. We estimate that 41,811 buildings were in the affected area and the probability of hail DHI detected was significant. Based on this information, you can expect to see minor damage to vehicles, tile roofs and crops in isolated areas (Impact Rating 2).